I know you’re all getting geared up for a three-day weekend (hooray! ), so let me give you an easy breakfast option to make your celebrations even brighter. 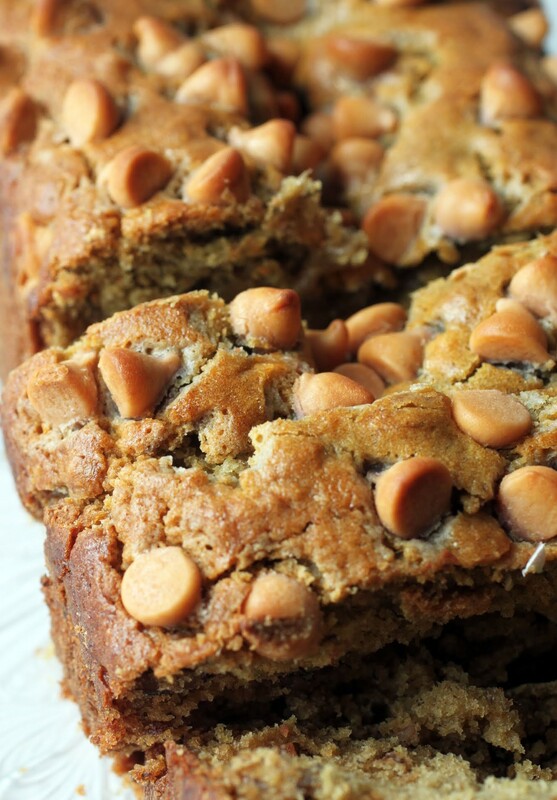 Every time I post a butterscotch recipe, I talk about how I don’t ever remember to bake with it. But when I do, it’s the best flavor explosion. I’m trying to do it more often, and the overripe bananas on my countertop always present a fantastic opportunity. If you are one of those people who craves moist (sorry if you dislike that word, but whatever) banana bread with crunchy pecans and sweet butterscotch chips, look no further. This bread is your soul mate! And it’s effortlessly gluten-free, too. I’ve spent the past few days packing up the high school that I’ve been privileged enough to teach at for most of my career. I’ll be the English department chair at my new school and I’m excited about the change, but it’s definitely tough to leave a school I’ve loved so much. I’ve had the best students, the best colleagues, and just the best time ever. Teaching can be a total blast. When I started packing the other day, I quickly became horrified at just how much stuff I’ve acquired over the years. We’re talking 10 full boxes of stuff, plus three giant file bins, plus bags of odds and ends. When I texted Kenny pics of all my packed-up possessions, his response was “good grief” followed by “digitize.” I then had to launch into an explanation of how much teachers need to do instruction every day, all day, for years and years. We teach an awful lot of content, and that equals a lot of files. Plus, we make what are called “class sets,” which are sets of 30 copies for all our students, which we save from year to year. That way, no extra paper wasting. It all adds up! Still, I have this image of bursting into my new school with all this stuff and scaring my new colleagues. So I might want to take it in there gradually under the cover of night or something. That way, I’ll seem halfway sane. And I’m not even going to explain this whole baking blogger thing I do for quite a while. People accuse me of doing too much, and they’re probably right, but busy is good! Some people are afraid of change, but if it’s a change with potential for growth, I really embrace it. So know that these next several months will be insane for me, but I’ll be a happy camper! You all know that I keep myself in dessert to make life awesome. 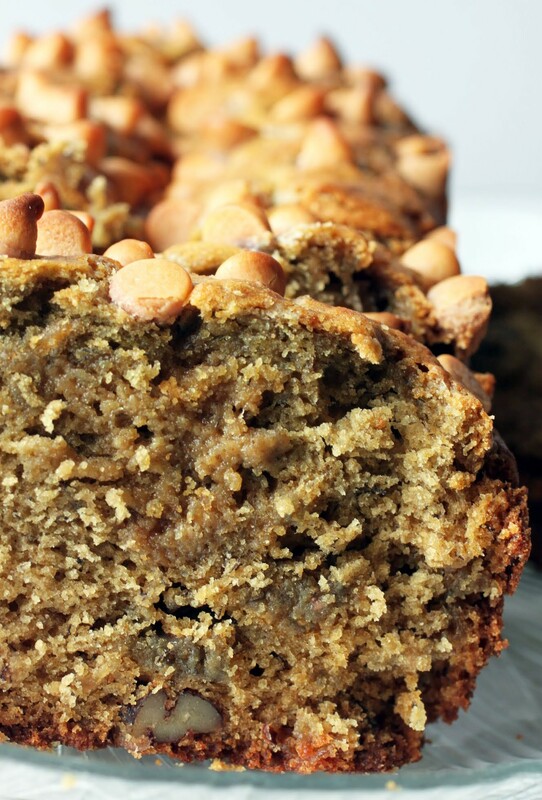 This banana bread is just the best, bar none. It’s springy and soft and yes, moist. It’s got butterscotch chips in the batter and sprinkled on top, and chopped pecans inside as well. Butterscotch and pecan is one of those genius combos that I always love using. I hope you have a very happy holiday weekend. I might get motivated to post something in there, but I think the blogosphere is officially on hold, so we shall see. In the meantime, enjoy the fireworks and parades, and have a super happy fourth! Preheat the oven to 350. Coat a loaf pan with cooking spray. Set aside. In a small bowl, combine the oat flour, baking soda and salt.. Add the dry ingredients to the wet ingredients. Mix until well combined. Fold the chopped pecans and 3/4 cup butterscotch chips into the batter. Pour the batter into the prepared pan. Sprinkle the remaining 1/ cup butterscotch chips on top. Bake 40-50 minutes until the a toothpick inserted into the center of the cake comes out clean. Cool completely. Cut into slices. Store covered. In case you haven’t noticed, I’ve been absent. It was totally beyond my control this time. That flu epidemic the CDC declared the other day found its way into my house. I’ve never been so sick in my life. A week down, unable to do anything but moan. And in the process, my blog just kind of stopped. But now it’s back, and it’s a new year! Don’t expect me to go with the trend here and start posting healthy recipes. I have very strong feelings about resolutions this time of year. It’s not that I don’t believe in making healthy decisions, but doing it on January 1st is just plain odd. Why would you want to? That date seems to have an alarming failure rate. How many of you still have guests in the house over the holidays? Show of hands, people! After a while, it gets rough to keep feeding everybody. Sure, it’s nice the first day, but as house guests linger on, keeping up the hosting duties can be a real drag. That’s when it’s nice to make a really quick coffee cake for breakfast. Not for them, you understand. They can have Cheerios. This cake is for you! 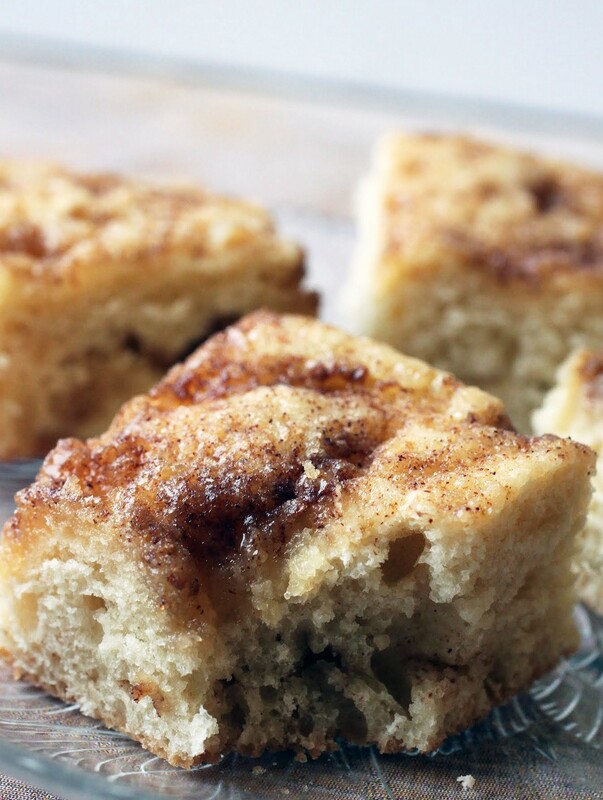 I like having a warm, fresh cinnamon-laden treat first thing in the morning. I mean, who doesn’t? That’s why cinnamon rolls are popular. But this is a much simpler option, and all those flavors are still there. There are very few non-chocolate desserts that I’ll go for. I’ve been working on establishing my love for anything with a crumb topping, so we’re clear on that! And I do have a special fondness for cheesecake, as do most breathing human beings. But along with these exceptions to my rule, I love anything with marzipan or almonds. My German grandparents pretty much made sure of that by passing down their love of almond through my mother and straight to me. 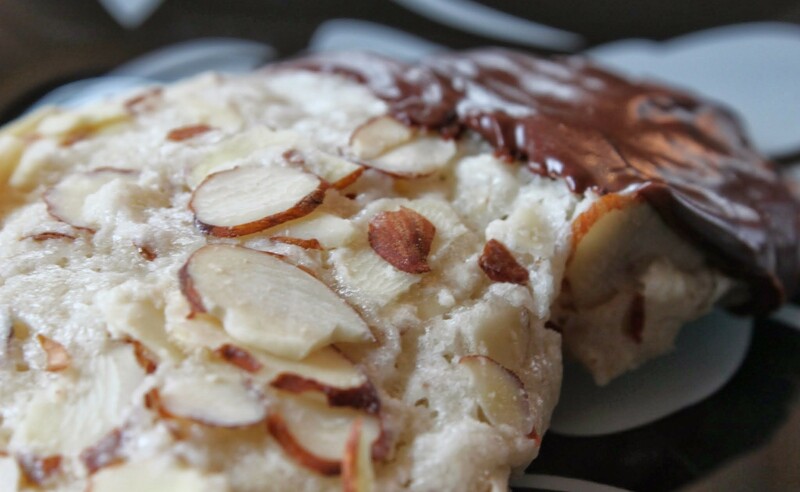 I’m a total sucker for chewy almond cookies, the kind you get at good, old-school bakeries. Sometimes they’re plain, sometimes dipped in chocolate. They come in all different shapes. I don’t really care what they look like, as long as they’re soft. Once they age and get harder, I lose interest. When I was a kid, our local fishmonger used to sell them (no idea why), and his name was Mr. Moon. So, I’ve always called almond cookies Moon Cookies. That’s so exciting that you will be the new English department chair! I’m sure it’s bittersweet leaving your school, but it sounds like you are making the right choice. This bread looks amazing! 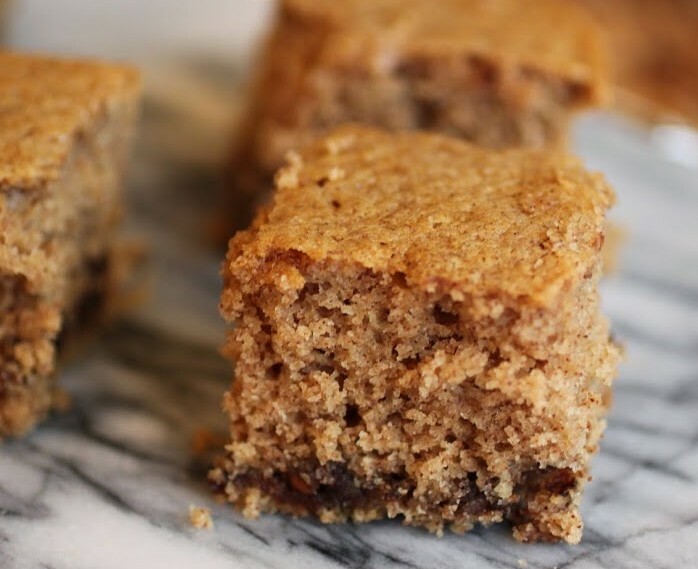 I’m like you and don’t bake with butterscotch nearly enough, so this is calling my name. What a delicious breakfast or dessert! It’s very bittersweet, but I’m excited as well. So many feelings! Thanks, Gayle! You are going to be AMAZING in your new school…my daughter is a teacher, and as far as I am concerned, teachers are absolute heroes. 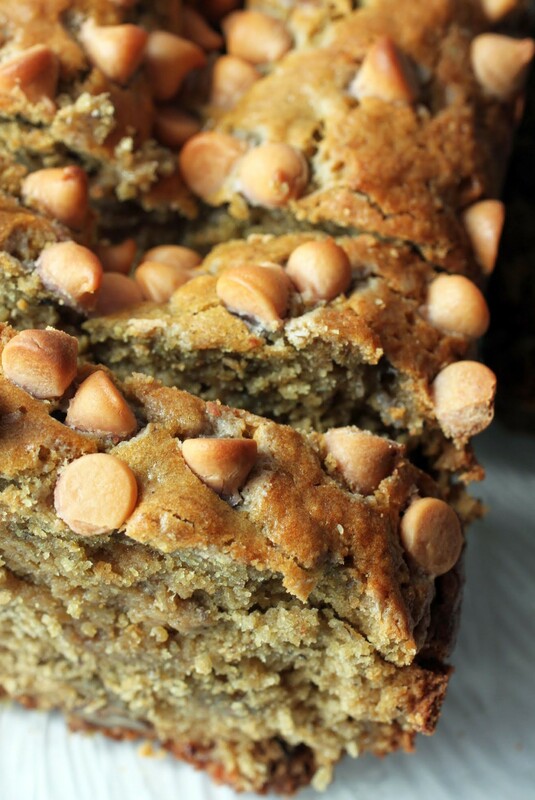 And if you show up on the first day with this butterscotch banana bread…well, look out, new school! Happy delicious long weekend, my friend! I definitely plan to bake for my department, Kate. After all, teachers work so hard. They deserve it! Mir, congrats on getting the English department chair and moving to a new school!!!! That’s huge! My husband started digitizing all of our bills and paper stuff. . I don’t even want to mention my filing system and everything I hold on to. . but yeah, embrace the change. 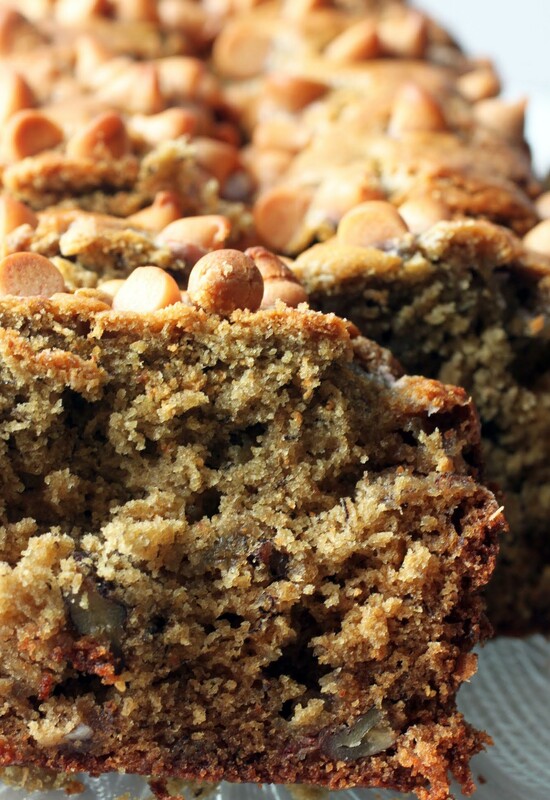 And this butterscotch pecan banana bread!!! Looks delicious and MOIST! 🙂 love it!!! have a great 4th, Mir! Thanks, Medha! The oat flour is SO good. Congratulations, Mir!!! That is fabulous! My dad was the English department chair for a long spell, as well, and I remember feeling so proud of him…I was around 8 or 9 when he started… You’re going to be fabulous! And this bread – I can’t even handle that first picture. Sort of not fair – I really want a piece!! Have a great weekend!! My son was bummed that I’m switching schools, but I hope he’ll get used to the idea of change. Thanks, Annie! Congratulations on becoming chair! That’s wonderful! Good luck. I can’t stand biting into dry banana bread, so this is the bread for me! And butterscotch sounds delicious in there. Who could want plain cereal for breakfast again after seeing this? Dry banana bread is just not worth it at all!